August is one of the best times of the year to seed alfalfa, clover and grasses. 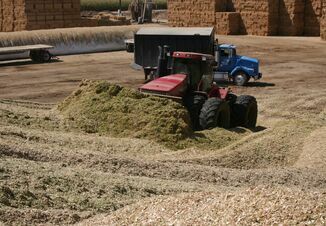 The key limiting factor to establishing forages with a late-summer planting is soil moisture, writes Emily Buxton Adams, The Ohio State University - College of Food, Agricultural, and Environmental Sciences. 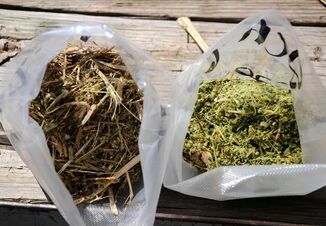 Rory Lewandowski, an Ohio State University Extension educator, and Mark Sulc, Ohio State Extension forage specialist, offer planting and disease advice based on the Ohio Agronomy Guide. Their recommendation is to plant alfalfa and other legumes by mid-August in northern Ohio and by the end of August in southern Ohio. 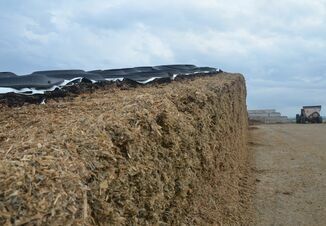 These timelines take into consideration average frost dates and the time needed for forage plants to develop a root system capable of overwintering. There is always the chance that fall with be warm and extended, as it has been the past few years. So, it’s really a question of risk. How lucky do you feel? One thing to be aware of is a concern for development of sclerotinia crown and stem rot in no-till seedings of alfalfa. Be especially watchful where clover has been present in the past. This pathogen causes white mold on alfalfa seedlings, which can be devastating to a new stand. Early-August plantings dramatically improve the alfalfa’s ability to resist the infection. In a no-till situation, minimize competition from existing weeds by applying a burndown application of glyphosate before planting. Using no-till when herbicide-resistant weeds are present creates a very difficult situation with no effective control options, so tillage is probably a better choice in those situations. For conventional-tillage seeding, prepare a firm seedbed to ensure good seed-to-soil contact. Remember that soil should be firm enough for a footprint to sink no deeper than one-half inch. Soil fertility and pH: The recommended soil pH for alfalfa is 6.8. Forage grasses and clovers should have a pH of 6.0 or above. The critical soil phosphorus level for forage legumes is 25 ppm, and the critical soil potassium level is somewhere around 100 ppm for many of our soils. If you haven’t had a soil test in the last three years, an Extension office can coordinate the testing for you. Seed selection: Be sure to use high-quality seed of adapted, tested varieties and use fresh inoculum of the proper Rhizobium bacteria. Research shows that it is worth the investment over cheaper seed in the long run. Planter calibration: If coated seed is used, be aware that coatings can account for up to one-third of the weight of the seed. Be sure to calibrate the drill or planter with the seed going into the field since coatings will alter how the seed flows through the drill. Seed placement: The recommended seeding depth for forages is one-quarter-inch to one-half-inch deep. It is better to err on the side of planting shallow rather than too deep. Do You Have a Forage System?